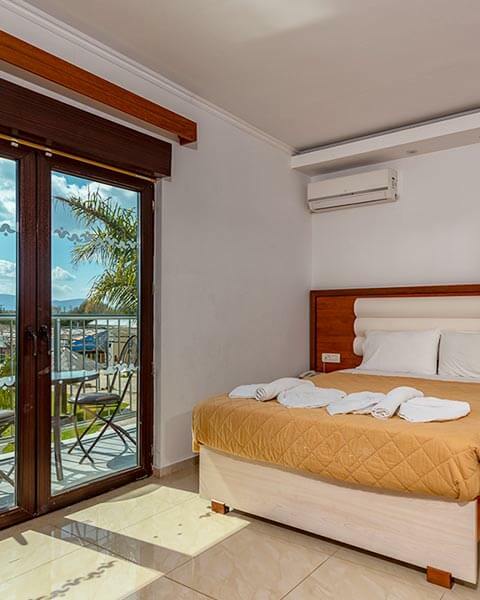 The Caretta Beach Holiday Village is a modern family hotel situated in Kalamaki tourist resort, on the south coast of Zakynthos, the most beautiful island in the Ionian Sea. 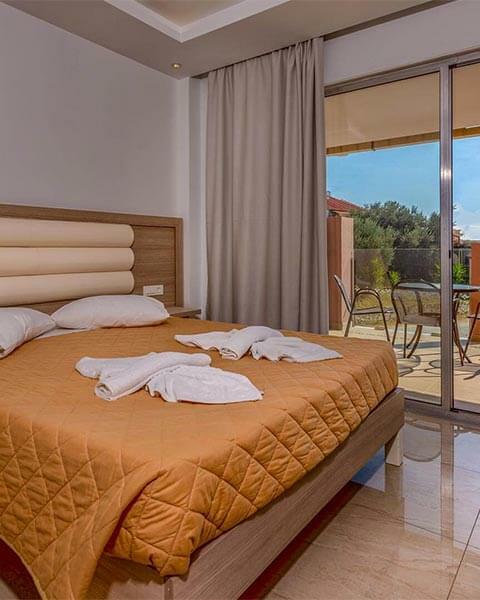 Located in private grounds, right next to the main Kalamaki road it is only 4 kilometers from the capital city – Zante Town and 2 kilometers from the International airport of the island. The golden sandy beach, only a 5 minute walk away, is the home of the renowned loggerhead turtle, Caretta-Caretta. 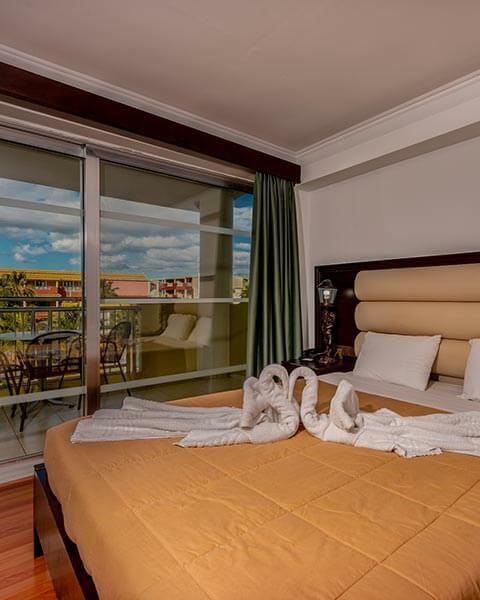 Caretta Beach consists 10 different blocks with a total of 320 rooms. Swim-up pools where added to 3 of the buildings, in 2018. Keeping in mind that an ideal holiday is a combination of relaxation and entertainment, the architect Aristotelis Marinos. There are three different room types available to our guests, one bedroom apartments, two bedroom apartments and studio apartments. The complex also features five different swimming pools, including a games pool, Jacuzzi and large children's pool. Since 2011, a spacious restaurant and a fully functional Water Park have been added to the complex. The new entry for the summer of 2012, was an amazing Fun Park where children of all ages can enjoy a large variety of games and rides. The hotel despite its size is famous for its hospitality and friendly family atmosphere. The management and staff aims to make your holiday as relaxing, enjoyable and memorable as possible. 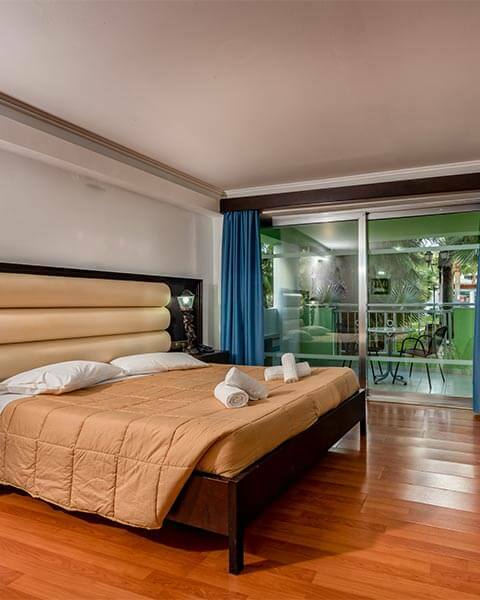 In Caretta Beach you find three room types. Studio, one bedroom apartment and two bedroom apartment. 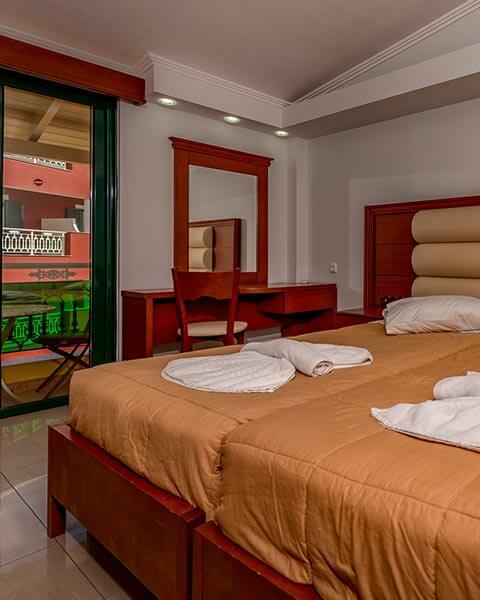 All three room types are located in all areas of the resort. 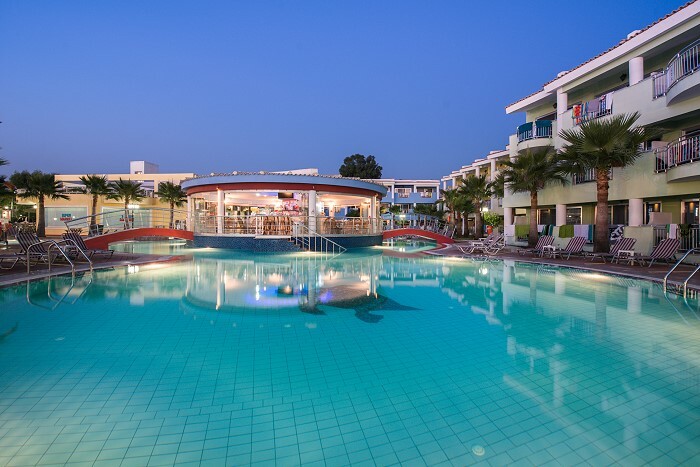 The Caretta Beach Holiday Village is the ultimate family vacation destination. Both parents and children will get the most out of the many hotel facilities. Comfortable and modern rooms ensure a relaxing stay for all guests. The Water Park is not to be missed as it offers a thrilling experience for everybody. The Fun Park, open in the afternoon and evening hours, is quite a sight with all the pretty lights as well as an ideal pass time for children of all ages. Parents can enjoy a drink at one of the many snack bars or the pizzeria while the little ones play safely. This brilliant vacation experience would not be complete if not for the delicious buffet meals on offer at the hotel restaurant as well as the friendly staff, always at hand to help with anything you may need. In the hotel grounds you will also find a super market with everything you may need during your stay, a chic jewellery shop for a special gift or souvenir as well as the chance to get a nice relaxing massage from our trained staff. We guarantee unforgettable holidays that will definitely make you come back for more!